albania, biology 101, biology and behavior, biology matters, clannishness, clans, different peoples is different (duh! ), fis, fise, gypsies, gypsies tramps and thieves..., inbreeding, kissin' cousins, mating patterns matter, puffin alert!, relatedness matters, roma, slovakia, spain, wales, what's this hbd business all about anyway? i know you’ve been wondering. well, obviously the gypsies are a highly endogamous group — they mostly marry other gypsies. the actual cousin marriage rates vary though from (as you’ll see below) ca. 10-30% first cousin only marriages amongst gypsies in slovakia to 29% first+second cousin marriages amongst gypsies in spain [pdf] to 36% first+second cousin marriages amongst gypsies in wales [pdf]. these rates are comparable to those found in places like turkey (esp. eastern turkey) or north africa…or southern india. consang.net tells us that the rates of first cousin marriage (that includes double-first cousin marriage) amongst slovakian gypsies ranges from 10.1% to 14.7% [pdf – pg. 10 – i think the reference is to this 1994 paper]. “Analysis of the marital choices made by local Roma shows that 75 per cent of the children born here between the 1930s and the early 1970s had a least one parent who hailed from elsewhere, whereas that ratio fell to 25 per cent during subsequent years. This dramatic shift doesn’t mean that young people no longer leave Svinia for spouses in other settlements — some continue to do so — but it does mean that of those who remain behind, which is the vast majority, far fewer end up with spouses from outside the community than used to be the case with their parents and grandparents. “I don’t know how to explain this remarkable shift toward settlement endogamy. The people who are responsible for it don’t indicate any significant changes in their preferences, and the most plausible conclusion one can draw in the absence of evidence pointing in a different direction is to correlate the shift with the dramatic increase in Svinia’s population size, which translates into a corresponding growth of the local marriage universe. Unlike their parents and grandparents who lived in a small community that imposed strict limits on their choice of partners, the people who have reached maturity in more recent years have faced a much expanded pool of potential local partners, enabling them to make a selection within their own settlement. “The result of this shift has been a decrease in the amount of traffic between Svinia and other Romani communities. Every marriage with a resident of another settlement brings about increased contact between the two communities. Relatives and friends travel to and fro as they attend baptisms, birthday parties, funerals, and other important events…. The shift from choosing mostly spouses from other settlements to marrying predominantly one’s own neighbours has gone hand in hand with a remarkable increase in the rate of unions between relatives. It is certain that common-law marriage involving close relatives did exist among Svinia’s first- and second-generation Roma. Indeed, there is strong evidence that the common-law spouse of Bartolomej (1912-73), one of Juraj and Hania’s sons and the founder of one of the lineages of *jarkovci*, was his biological niece. And of Hania and Juraj’s 27 grandchildren who remained in Svinia and found partners there, seven chose first cousins or first cousins once removed. But this rate of roughly 25 per cent pales in comparison with the situation among the third- and fourth-generation: people who have reached maturity during the last 30 years or so and who have remained in their ancestral settlement. Of the 159 persons in this category, 101 (or close to 65 per cent) opted for a biologically related partner. Roughly one half of these unions involves close cousins — first and once removed — while the other half consists of more distant degrees of consanguinity…. “Most marriages, especially among Roma, are intra-ethnic and arranged through match-makers. In fact, 95 percent of Roma and 74 percent of Egyptians preferred members of their own ethnic group as marriage partners. “Traditional Marriage Partners. Most Roma and Egyptians still marry within their own ethnic group. More Egyptians than Roma would accept a marriage between a family member and an Albanian. “Roma social organization is based on the *fis*. Members of one *fis* are usually persons who patrilineally descend from a common male *fis* name. The main branches of the *fis* — large families — serve as the bases for the creation of new *fise*. “Arben, a Roma who enjoys a high standing within his *fis*, explained: ‘My *fis* is made up of all cousins [first, second] that have my last name, Demir.’ When a *fis* extends for several generations into a few dozen families, *fis* membership can reach into the hundreds. Now into its third generation, the Demir *fis* is composed of approximately 70 families and several hundred individuals. how long have gypsies been marrying close cousins at these rates? who knows. long time probably. *edit 10/24: anonymous points out that the “gypsies” on My Big Fat Gypsy Wedding are actually irish travellers — or mostly irish travellers. thanks, anonymous! the irish travellers marry their cousins A LOT. “…The show’s stars add that they also embrace traditional values and distinct gender roles. “Nettie continued that the ‘normal age for a girl to get married is between 16 and 18,’ and that females are allowed fewer freedoms than their male counterparts. 10 000 year explosion, agriculturalists, biology 101, biology and behavior, biology matters, different peoples is different (duh! ), england, english, europe, flatlanders, highland zones, inbreeding, ireland, irish, lemur alert!, lowland zones, mating patterns matter, mountain people, mountaineers, pastoralists, relatedness matters, scotland, scottish, tees-exe line, the welsh, wales, what i did on my summer vacation, what's this hbd business all about anyway? “Britain is marked by pronounced regional differences. The most basic division is that between highland areas and lowland areas. The ‘highland zone’ is defined by being over 200 meters (656 feet) above sea level. Highland zones are found in Wales, much of Scotland, northern England, and parts of southwestern England, although lowland pockets exist in highland territories. The British highland zone is not really mountainous, as the highest mountains reach the mode height of roughly 4000 feet (1,129 meters). There is a much higher proportion of highland land in Scotland than in England, and the difference between the highlands and the lowlands and their inhabitants plays a central role in Scottish history and culture. “The highlands are marked by a greater emphasis on pastoralism, as they have mostly chalky soil and are too wet and cold for successful agriculture. The highlands are also much less densely populated than the lowlands, as it requires much more land to support a human being through pastoralism than through agriculture. Lowland areas are usually more fertile. The most fertile lowlands are in the south and southeast of Britain, where there is rich, heavy soil more suited to agriculture. Lowlanders can engage in raising either grains or livestock, depending on circumstances. In the Middle Ages much of the lowlands was truned over to the highly profitable production of wool. Lowlanders tended to live in villages, highlanders in small hamlets or isolated farmsteads, or to be nomadic. “Invasions of Britain had much less effect on the highlands than on the lowlands, which constituted the really valuable prize due to their greater agricultural productivity. Those regimes exercising power throughout Britain or the British Isles were usually based in lowland England, the only place capable of supporting tehm. The extension of power from the lowlands to the highlands was a difficult challenge due to the difficulty of the terrain. Mountainous Wales preserved its independence for centuries despite its poverty and its inability to unite politically. The only invaders to subdue Wales before the 13th century were the well-organized and disciplined Roman legions, and it took them years after the conquest of England. The less-organized Anglo-Saxons, Vikings, and Normans had a much harder time, and Wales was only permanently annexed to England in 1284. “It is from this time [late bronze/early iron age] onwards that the division of the British Isles into Highland and Lowland Zones becomes relevant. The division has been used by geographers to explain differences in settlement patterns, farming practices and the quality of material culture between the two zones, and Cyril Fox exploited it to a considerable extent in ‘The Personality of Britain’. “In brief, the Highland Zone (Fig. 62) is that part of the British Isles which is made up of the most ancient group of rocks, those formed in the Paleozoic Era. They lie in the north and west and the division with the later Mesozoic and Tertiary rocks of the Lowland Zone falls roughly on a line from the mouth of the Tees to the mouth of the Exe. The Palaeozoic rocks are generally hard, forming mountainous regions, with continuous streches over 300 metres above sea level. Plains and vales are not extensive. There are steep slopes and crags making cultivation difficult or impossible, and soils are often thin, stony and impoverished. Rainfall is high and there is a strong correspondence between the chief moorland areas and mean annual rainfall. 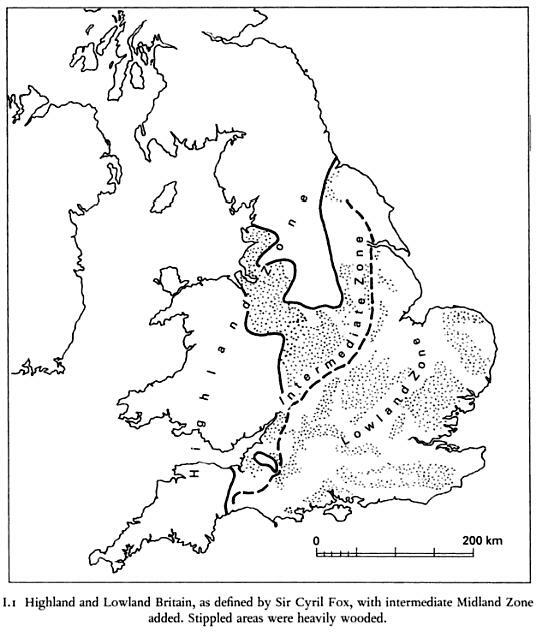 “Lowland Britain, on the other hand, is made up of geologically younger rocks which are softer, and which have given rise to a series of low-lying, rolling hills and intervening extensive vales and plains. Slopes are gentle, crags few and almost all the land is available for tillage, pasture or settlement. Soils are generally fertile and there is little evidence of erosion. Rainfall is light and there is little waste ground. “But there are many topographical exceptions, in particular various lowland areas within the Highland Zone. Some of these are relatively small — the Vale of Glamorgan, the Hebridean machair and certain fertile river valleys such as Strath Tay. Others are of much greater extent, including the Central Scottish Lowlands, East Banff and Aberdeen, and the Orkney Islands. Ireland can be divided topographically into its own Highland and Lowland Zoens, and presents an anomaly in that approximately half the country is essentially lowland but situated in a high rainfall area…. 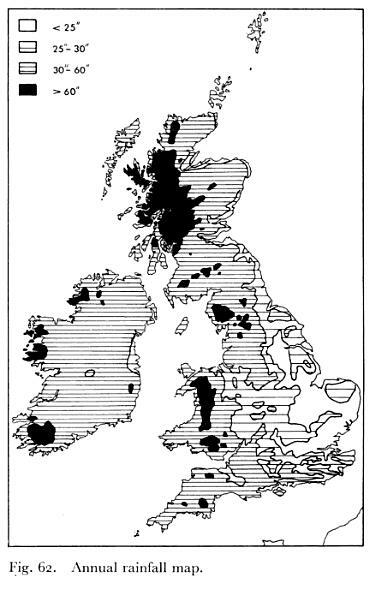 “Indeed, the key distinction between the Highland and Lowland Zones is not so much elevation and topography as rainfall which is greatest in the west (Fig. 62) since this is the direction from which the main rain-bearing winds blow…. “[F]or a variety of economic and environmental reasons, the first millennium bc represents a period of significant change in the Highland Zone. Fields were abandoned and either reverted to pasture or waste ground, or became covered by peat. In low-lying areas communications became difficult because of mire formation or flooding. The importance of stone and Highland Zone metal deposits dwindled. And there was no great exploitation of timber for iron smelting as occurred in the Lowland Zone. Indeed, it is from the beginning of the Iron Age that the Highland Zone as a whole assumes the pastoral character which it has retained ever since. “To draw attention to this fact [i.e. that much of the pre-roman british isles was a part of a broader european celtic culture] is not to say that there was political and social uniformity throughout the area. The existence of tribal groupings in both Britain and Ireland is an indication of political differences at the local level. The Romans, to whom we are indebted for Latin versions of tribal names in the absence of their original Celtic forms, distinguished over twenty tribes in Britain south of the Forth. In Ireland, where politcal aggregation had not gone as far as it had elsewhere, the number of tribes seems to have been much larger. “One powerful cause of variety was geography, in particular the contrast between Highland and Lowland Zones. It was Sir Cyril Fox who argued in his book ‘The Personality of Britain’ (1932) that the Lowlands would usually be exposed to forces of change before the Highlands. The Highland/Lowland contrast certainly makes good sense when applied to Britain, where north and west form a distinctive geographical area, including a good deal of land over 400 metres above sea-level. Poorer soil and climatic conditions made agriculture more of a challenge in the Highland Zone than it was in the south and east. In a British Isles context, however, the Highland/Lowland contrast is not quite so clear. Ireland, which has been compared to a saucer in which the rim represents the hills and the flat base the central plain, is not, geologically speaking, a Highland Zone. There is no doubt, however, that the narrow seas between north-west Ireland and south-west Scotland linked rather than divided them. At this particular period, however, it may be seen as forming part of a ‘cultural Highland Zone’, cut off, for better or worse, from the influence of the rising military power of Rome. “Geographical determinism should not be pressed too far, however. It can also be argued that, under certain conditions, the Irish Sea provided a channel of communication…. It also seems to have been the case during the fifth and sixth centuries AD when Christian communities on both sides of the Irish Sea retained their links with Christian Europe at a time when the eastern half of Britain was being overrun by Germanic settlers. The Irish presence in Scotland in the sixth century AD and in parts of Wales illustrates the same point…. inbreeding and cognitive ability among whites in the u.k.
“Research on consanguineous marriages, and other forms of inbreeding, has long shown a reduction in cognitive abilities in the offspring of such unions. The presumed mechanism is that detrimental recessive mutations are more likely to be identical by descent in the offspring of such unions and so have a greater chance of being expressed. To date, research on the relationship between inbreeding and cognitive ability has largely been restricted to recent inbreeding events as determined by pedigree…. It has been suggested that intellectual disability is under negative selection, and that recent deleterious mutations have an important role in the underlying aetiology. 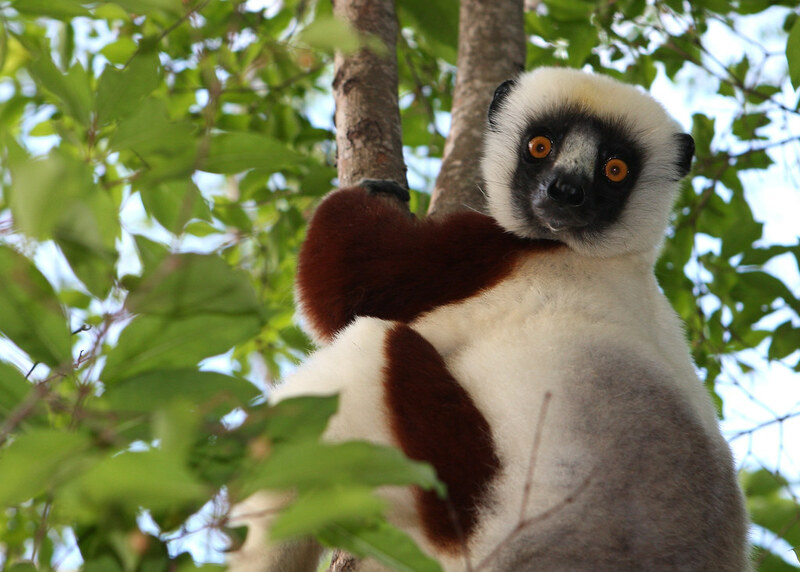 The wealth of molecular genetic data currently available allows estimates of inbreeding on a genome-wide level and to examine the effects of long-term ancestral levels of inbreeding. Such an association with inbreeding, as measured by runs of homozygous polymorphisms (ROH), has previously been identified with several behavioural traits, such as schizophreniz, Parkinson’s disease and personality measures, as well as non-behavioural traits such as height. “The relationship between inbreeding on a population level and cognitive ability is particularly interesting due to assortative mating, non-random mating, which is greater for cognitive ability than for other behavioural traits, as well as physical traits such as height and weight. Positive assortative mating has been reported for cognitive ability, particularly for verbal traits, with spousal correlations generally around 0.5. Assortative mating should lead to greater genetic similarity between mates at causal loci for cognitive ability and to a lesser extent across the genome, which in turn reduces heterozygosity at these local. In other words, in contrast to the genome-wide reduction of heterozygosity caused by inbreeding, the reduction of heterozygosity due to assortative mating for a trait is limited to loci associated with the trait…. Another difference between inbreeding and assortative mating is that the effects of inbreeding are expected to be negative, lowering cognitive ability, whereas the effects of assortative mating affect the high, as well as the low end of the ability distribution, thus increasing genetic bariance, that is, when high-ability parents mate assortatively, their children are more likely to be homozygous for variants for high ability, just as offspring of low-ability parents are more likely to be homozygous for variants for low ability…. “The Twins Early Development Study (TEDS) recruited over 11 000 families of twins born within England and Wales between 1994 and 1996…. In this analysis, individuals were excluded if they reported severe current medical problems, as well as children who had suffered severe problems at birth or whose mothers had suffered severe problems during pregnancy. Twins whose zygosity was unknown or uncertain or whose first language was not English were also excluded. Finally, analysis was restricted to twins whose parents reported their ethnicity as ‘white’…. “Verbal and non-verbal tests were administered using web-based testing. The verbal tests consisted the Similarities subtest and the Vocabulary subtests from the Wechsler Intelligence Scale for children (WISC-III-UK). The non-verbal tests were the Picture Completion subtest from the WISC-III-UK and Conceptual Grouping from the McCarthy Scales of Children’s Abilities. A general score was derived from the test battery as the standardized sum of the standardized subtest scores, which correlates 0.99 with a score derived as the first principle component of the test battery score. “FROH was defined as the percentage of an individual’s genome consisted of runs of homozygosity (ROH)…. [O]nly ROH with a minimum of 65 consecutive SNPs covering 2.3Mb were used when calculating the total proportion of the genome covered by ROH. In addition, the required minimum density in a ROH was set at 200kb per SNP, and the maximum gap between two consecutive homozygous SNPs was set at 500kb…. “Table 1 includes descriptive statistics for FROH and the three measures of cognitive ability (general, verbal, and non-verbal). FROH is slightly positively skewed, as it represents the total percentage of the genome that includes runs of homozygosity (ROH). The average percentage of genome covered by ROH was 0.7% (95% CI 0.65-0.72%). Verbal and non-verbal abilities correlate 0.49; because general cognitive ability is the sum of the standardized verbal and non-verbal subtests, they correlate much more highly with general ability (0.87 and 0.86, respectively). “Table 2 presents the results of the linear regression analyses. No significant regression was found between FROH and the cognitive measures after correction for multiple testing, although the association with non-verbal cognitive ability was nominally significant (P=0.03). 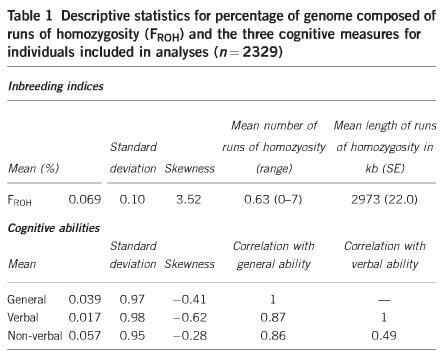 Although this association was not statistically significant, it is noteworthy that every regression in Table 2 is *positive*, indicating that increased homozygosity tends to be associated with *higher* cognitive scores across different measures of cognitive ability (general, verbal and non-verbal). “Our analysis identified 87 loci where ROH overlapped in 10 or more individuals. For these overlapping regions we tested for association with each of the cognitive measures and again showed no significant associations after correction for multiple testing (P-values of less than 5.7 x 10-4). A sign test of the direction of effect across all ROH showed a disproportionately large number of *positive* associations, indicating that ROH are associated with higher cognitive ability (P=0.002). The sign test was non-significant for verbal ability but highly significant for non-verbal ability (P<10-6). The sign test for non-verbal ability alone remained significant after correcting for an individual’s genome-wide FROH score (P<10-6). “As explained earlier, positive assortative mating can also lead to genome-wide homozygosity for trait-specific loci, and, unlike inbreeding, assortative mating can affect the high as well as the low end of the ability distribution. One possible explanation for the trend suggesting a positive correlation between homozygosity and cognitive scores in our data is that positive assortative mating on intelligence might be greater for high cognitive ability individuals…. “Our results show that within a representative UK population sample there was a weak nominally significant association between burden of autosomal runs of homozygosity and higher non-verbal cognitive ability. This nominal association with *increased* cognitive ability is counterintuitive when compared with the results from more extreme inbreeding based on pedigree information. A potential explanation for this direction of effect is that individuals with higher cognitive ability might show greater positive assortative mating, which would lead to increased homozygosity at loci for higher cognitive ability in their offspring. However, in a separate sample we showed that greater positive assortative mating was not associated with higher cognitive ability. While these findings seem to provide clear evidence against this hypothesis, it is possible that the genome-wide genetic finding reflect historical mating habits that no longer exist today. It should also be noted that there was a reduction in the standard deviations for spousal correlations in the increased cognitive ability groups by an average of 6% compared with the decreased cognitive ability group (see Table 3), which could reflect less genetic variability in the high ability couples or a ceiling effect on the cognitive tests. This lesser phenotypic variability at the high ability end would have a small effect in reducing the spouse correlations and potentially confound our analysis…. so, although obviously Further Research is RequiredTM, these researchers have concluded that both the absence of reduced cognitive ability and the slight increase in cognitive ability which they found in individuals who had runs of homozygosity (roh) in their genomes (evidence of matings between genetically similar individuals) were probably NOT due to assortative mating (i.e. smart people mating with smart people). furthermore, they suggest that the inbreeding-causes-reduced-cognitive-ability meme is incorrect — or at least that the situation is more complicated than the idea that it’s the accumulation of recent deleterious mutations which haven’t been selected away that is the (whole) problem. in fact, a little inbreeding seems to have a positive effect on some cognitive abilities! i’ve suggested a couple of times one way in which inbreeding might result in a low average iq in a population, and that is if the inbreeding leads to clannish, altruistic behaviors between extended family members which then result in the deleterious mutations NOT being weeded out. one real world example i’ve offered is how life works in egyptian villages and how the more successful and affluent (and, presumably, more intelligent) members of a clan are obliged to help out their less successful and poorer (and, presumably, less intelligent) clan members. so, apart from mentally retarded individuals not reproducing, where is the negative selection for deleterious mutations here? there is none. or it’s a lot weaker than in more individualistic societies (like gregory clarks’ medieval england) where it’s more every man for himself — in clannish societies, deleterious mutations might be able to hang around for a long time, riding on the coattails of those with fewer deleterious mutations. did vortigern set the anglo-saxon invasion — sorry, settlement — of britain ball rolling? maybe. maybe not. if he did, he wouldn’t be the only guy in history to do something as stupid…. “…who offered them financial inducements and land grants to resettle in Britain. Skilled weavers and craftsmen [the original h-1b visa holders? – h.chick], the Flemings moved into southwest Wales and parts of the Scottish Borders, erected castles, farmed the land, and established villages in the shadow of their castles. “This led a large number of Flemings to seek asylum in England, where they were welcomed by Henry I. They settled in various colonies across England, but soon, Samuel Lewis wrote, they ‘became odious to the native population’, and Henry I moved the Flemings to the remote farming settlement in the cantref, a district of Rhôs, in south Pembrokeshire. too clannish and too busy in-fighting to notice the bigger picture. biology 101, biology and behavior, biology matters, different peoples is different (duh! ), europe, europeans, general theory of the west, inbreeding, ireland, irish, kissin' cousins, mating patterns matter, otter alert!, relatedness matters, the welsh, wales, what's this hbd business all about anyway? from the synod of whitby in 664 onwards, the anglo-saxons generally followed christian practices as they emanated from rome. the irish continued on with their own particular form of insular christianity until some 500 years later (same goes for some of the welsh, btw), and this affected their mating practices. see also: The Development of the Family and Marriage in Europe by jack goody. biology 101, biology and behavior, biology matters, british people, castle alert, different peoples is different (duh! ), emmanuel todd, england, english, europe, europeans, family types, inbreeding, ireland, irish, kissin' cousins, manorialism, mating patterns matter, medieval europe, relatedness matters, scotland, scots, the welsh, todd's family systems, wales, what's this hbd business all about anyway? pretty much all of ireland remained having todd’s endogamous (patriarchal) community families throughout the middle ages. in fact, todd is somewhat misleading in including ireland as a stem-family country between 1500-1900 since apparently the stem family didn’t really appear in ireland until after the 1850s. hmmmm. 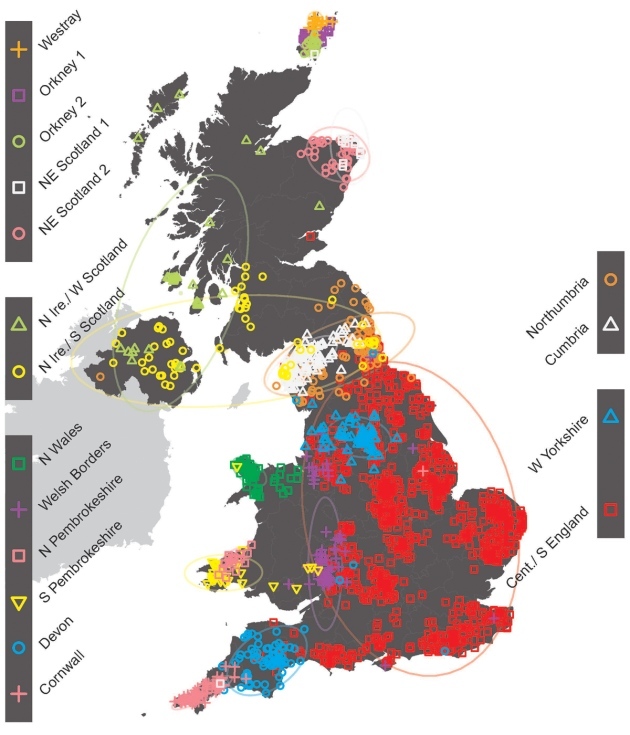 western regions of britain — western scotland, wales and cornwall — also stuck with the endogamous community family system throughout the middle ages. so did the peoples in the anglo-scottish border areas — the border reivers. in fact, they were clannish right up through the seventeenth and eighteenth centuries — at least! — when many of them emigrated to what would become the u.s.
east anglia and kent, as we recently saw, also had community families in the medieval period, but they (i think) married out more, so they would be classified as exogamous community families. joint families were common in medieval east anglia and kent, but not so much crazy, infighting clans. there was also little manorialism in east anglia and kent compared to central england, but more than in places like scotland or ireland. remember that the manor system relied on nuclear families and, coupled with the oubreeding demands of the christian church, manorialism broke down genetic relatedness and extended family systems in the population. the heartland of manorialism in england was central england — mercia and wessex. this is where there was the greatest number of manor estates — the most tenant farmer peasants and others bound to the land in service to a manor — the hardest push for outbreeding and nuclear families. interestingly, this is where hackett fisher’s cavaliers and indentured servants came from, sorta maintaining in the new world the ages old tradition of masters and servants from this region of britain. 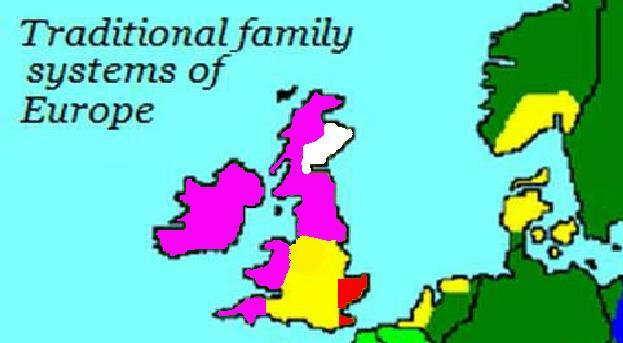 i may not be right in delineating central england as having “absolute nuclear families” during the medieval period. perhaps they had more stem families, i’m not sure. what they definitely didn’t have, though, were extended community families of any sort. not sure what was going on in northeast scotland. sometime between the middle ages and the modern period, the community family systems disappeared (for the most part) and nuclear and stem families became the norm throughout the british isles.